Accountants would like to easy enter corrections at a month end date. For this reason in previous versions of Microsoft Dynamics AX there was an option in the Tools menu to change the session date and time. 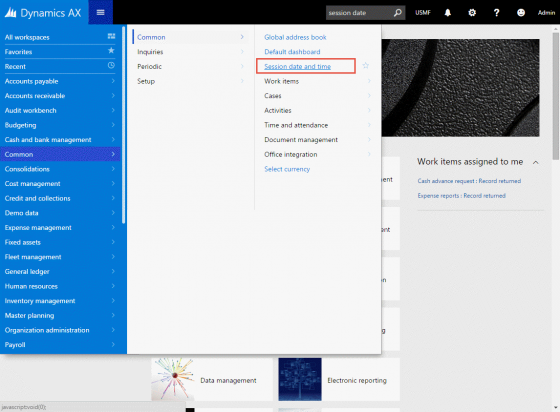 However this menu is not implemented in the new cloud based Dynamics AX, the option to change the current work date is still available. The option is even closer than you might think. Date selection on dashboard Calendar control. 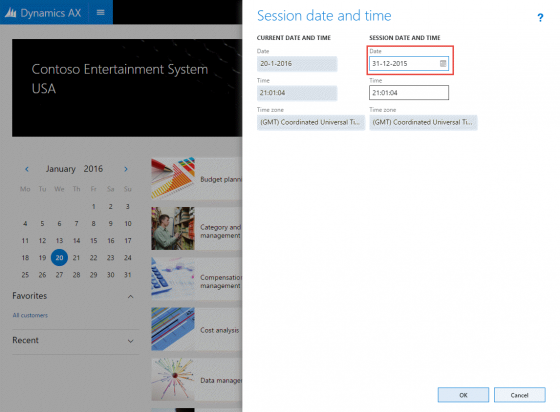 Date/time selection in the Session date and time form. 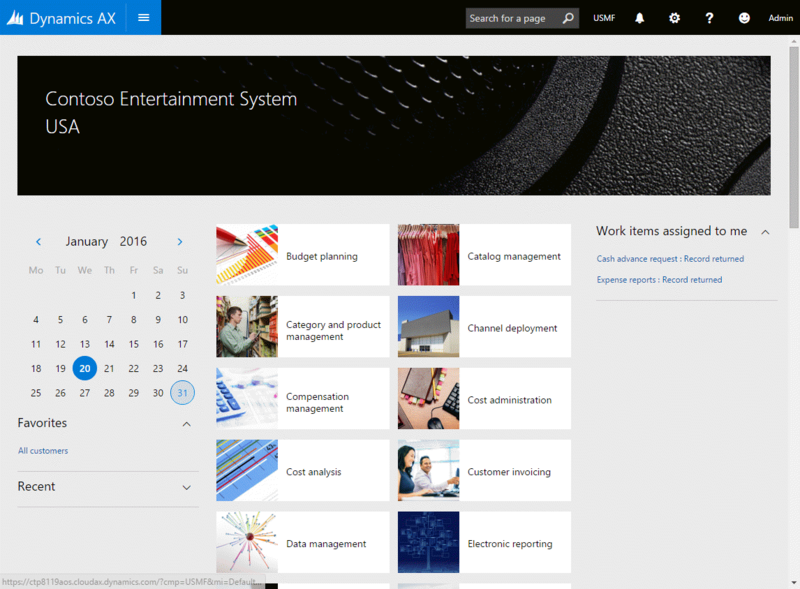 When Dynamics AX is opened, you will find a calendar control on the left. At startup is will be defaulted with the system date. You can just select another date on this control to change the session date. A confirmation will be prompted to the user. When the session date is changed, the current date and the session date both are highlighted on this calendar control. To take advantage of this you can create e.g. a new general journal and edit the lines. 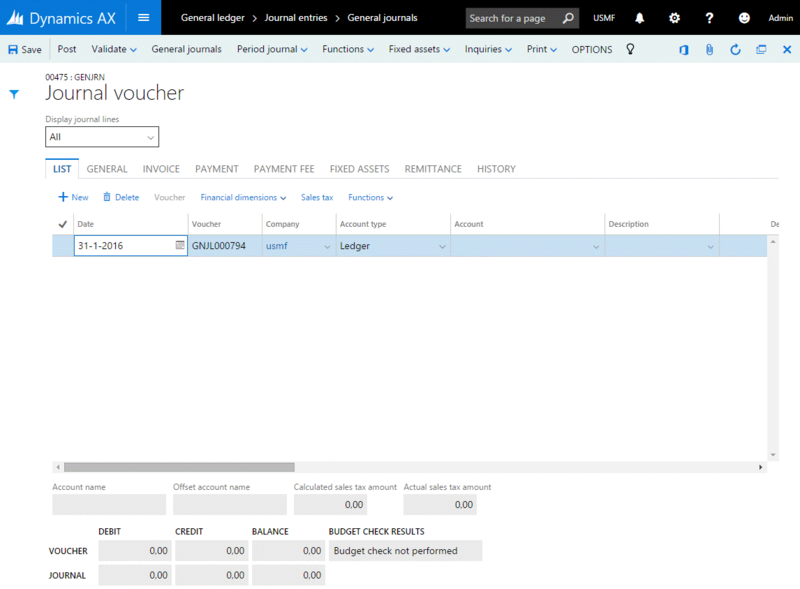 You will notice that the session date will be used as default for the new journal lines. You can also change the session date by using the form Session date and time. This can be required if you also need to change the session time. Another (temporary) reason can be found at the end of this document. To open the form, click Menu > Common > Common > Session date and time. You can then change the session date and or time. To confirm this action you must click the OK button at the bottom of this slider form. 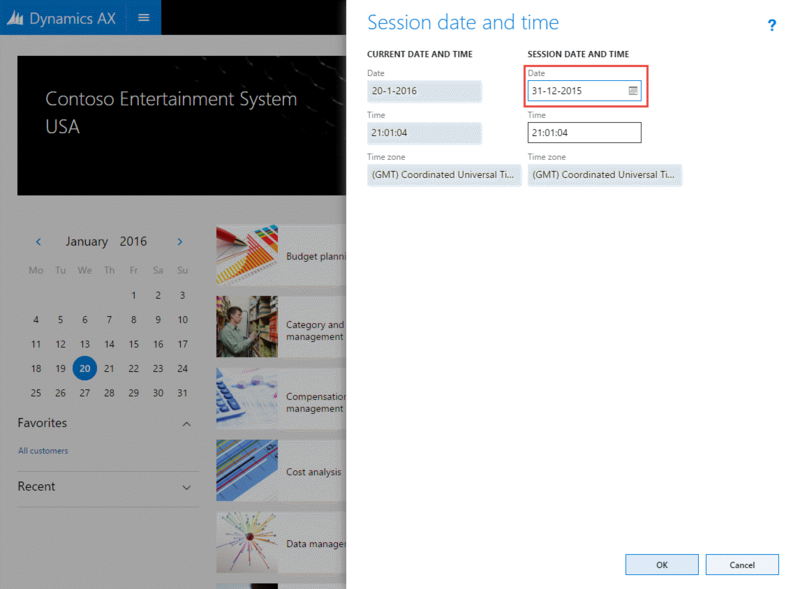 Currently in the Technical preview (CTP8) there is an issue when you want to select a date in another year. So when you want to select e.g. December 31, 2015 while the computer date is in 2016, the wrong date is compiled to be your session date. The month and date is correct, but it is taken the current year (2016). So please check the proposed date carefully before accepting a wrong one. 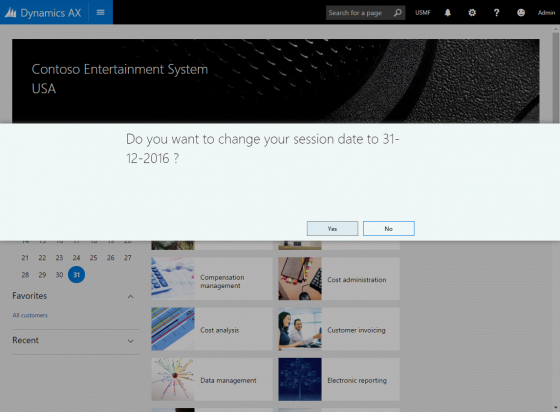 Changing the date using the Session date and time form to another year is working, so there is a workaround for this issue. I have created Connect feedback to have Microsoft aware of this.